Russian welter Roman Belaev (14-1) comes back tomorrow night on SES' (sold out) show in Halle an der Saale. 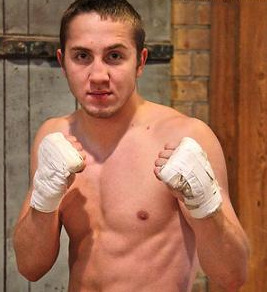 Belaev (pictured below) takes on Argentinian Ramon de la Cruz Sena (20-14-2). Belaev's last fight was in South Africa late 2014 when he lost a controversial technical decision to Ali Funeka. Belaev appeared before that to be a genuine prospect but ran into promotional problems and have fought only five times since 2013. Headlining the show in Halle is lightheavy Dominic Boesel (20-0) vs Balasz Kelemen (24-1) with the WBO Int'l and WBA Continental titles at stake.